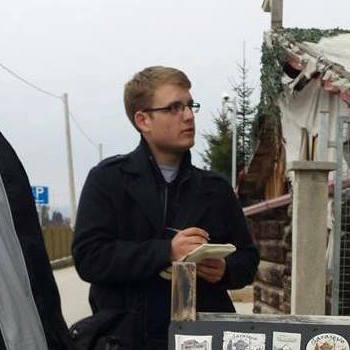 Ryan Schuessler is a Chicago-based journalist whose work has appeared in the Guardian, the Washington Post, the New York Times, Al Jazeera America, and National Geographic News. He has filed stories from around the United States (Alaska, Missouri, Idaho, etc.) and around the world (Bosnia-Herzegovina, Costa Rica, Montserrat). Ryan frequently writes at the intersection of the environment and social justice issues, as well as on conservation, the Arctic, religion, diaspora communities, and identity. Massive rafts of floating sargassum are killing wildlife and preventing fishers from launching their boats. Sand covering the sanctuary floor in a Curaçao synagogue muffles sound, but speaks volumes to the history of Judaism in the Caribbean. Ships are flocking to the Arctic, increasing the risk of a spill in an ill-prepared region. Disappearing sea ice means Alaskan killer whales are expanding their range, bringing them into increasing competition with indigenous beluga whale hunters. From Alaska and Russia, traditional hunters meet to discuss threats to their way of life. A children’s club in Montserrat looks to preserve the island’s culture and environment by bringing kids into the water.